I’m sometimes scared of mushrooms. Portobellos I like. Cremini, good for risotto. Even the common white button mushrooms. Throw them into a stir fry, they cook up fine. But wild mushrooms, the kind people hunt for in the woods? What if I get poisoned? 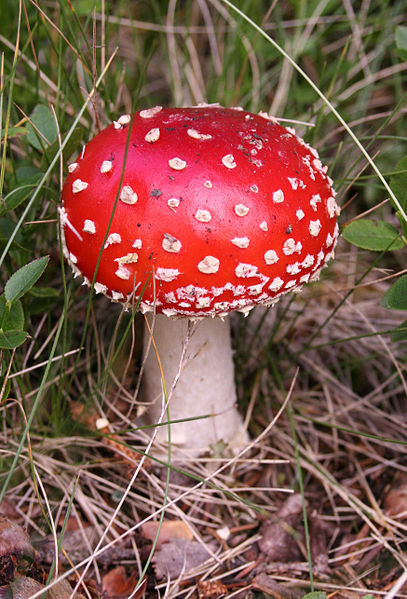 In my mind I always saw the flaming red with white dots, the poisonous amanita muscaria. 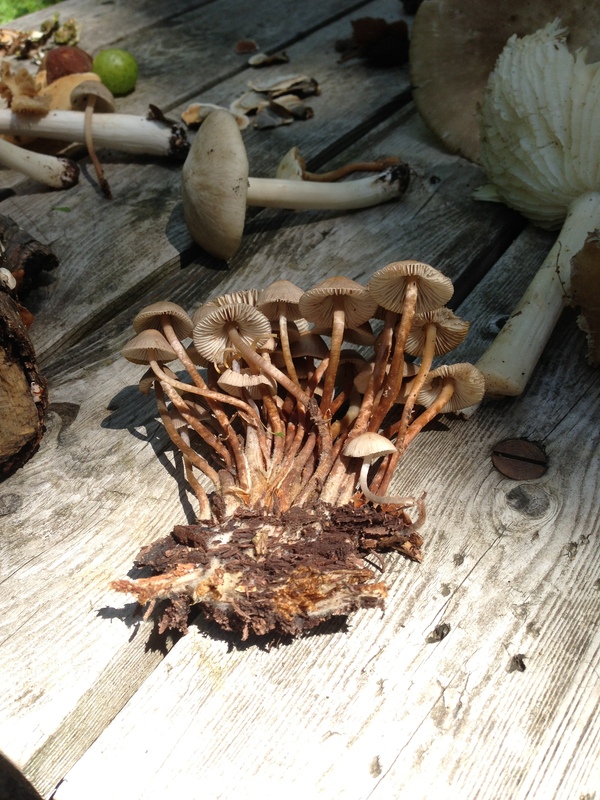 There are old mushroom hunters, and bold mushroom hunters, but no old, bold mushroom hunters. As the saying goes. I thought I’d face my fears in a mushroom walk at Cranberry Lake Preserve cosponsored by a group called COMA, the Connecticut-Westchester Mycological Association, founded in 1975 by a group of amateur naturalists and mushroom enthusiasts. 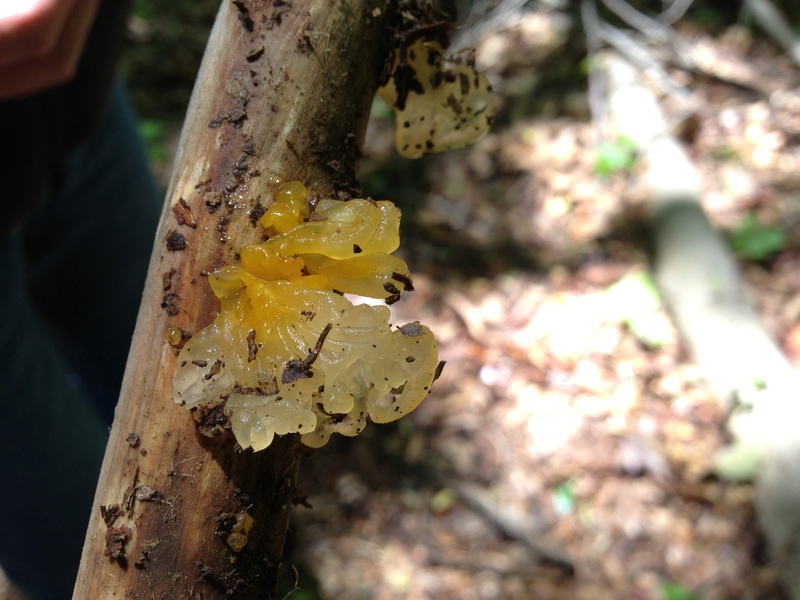 COMA promotes a sense of stewardship of the natural world through the study and appreciation of the world of fungi. It even sponsors a mushroom university. I got to the meeting place before anyone else. It was just me and the bears and the elves. The sun had broken out and the wind was blowing wildly. 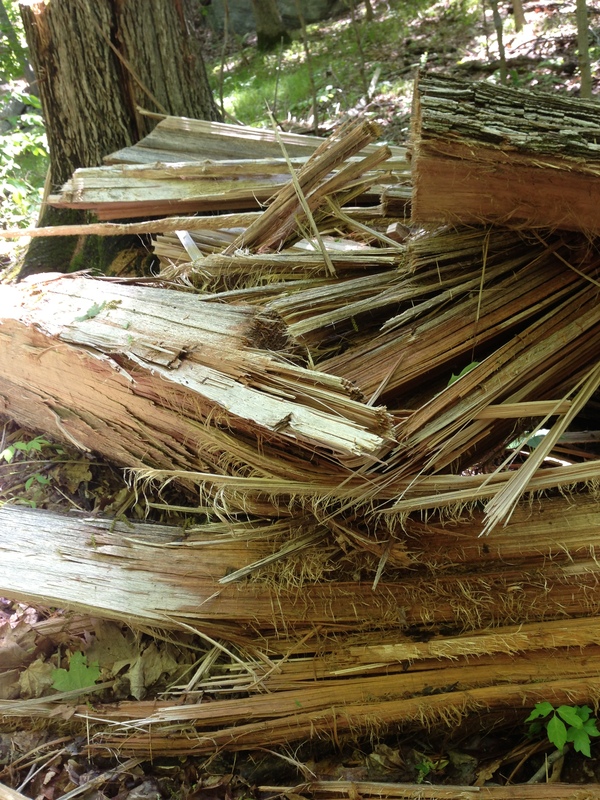 So many trees have fallen in recent storms, some shattered to pieces, it seemed amazing there were any left standing. “Nature alone is antique,” wrote Thomas Carlyle, “and the oldest art a mushroom.” Mycologists approach the forest with a combination of hard-headed method, Zen mysticism and dumb luck. My fellow foragers began to arrive with wicker baskets over their arms and expressions of patient, optimistic calm. 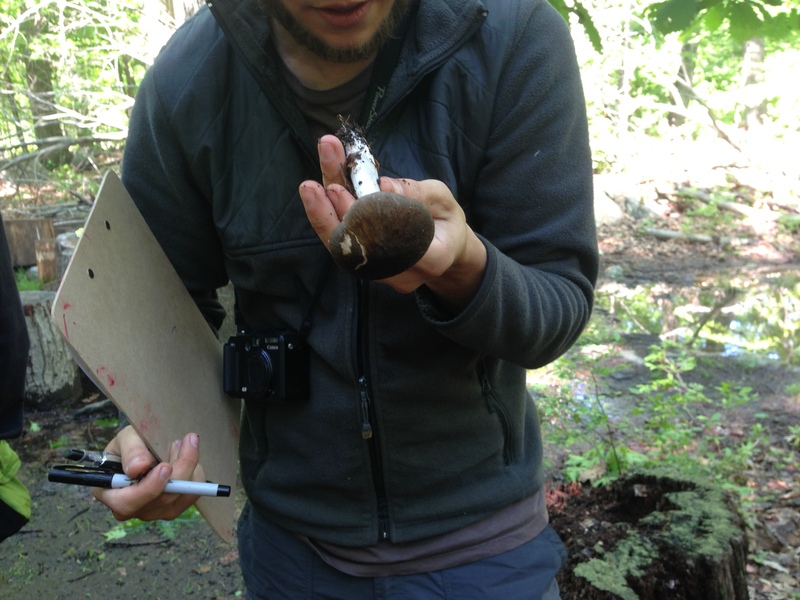 Zach, our guide, explained some mushroom physiology, the gills underneath the cap, the veil that falls back as the spores mature. I met Vrena, a retiree and avid traveler from Switzerland, who described the wild food she had gathered from the forest this spring: garlic mustard, dandelion, dock, bamboo and ramps. Young wild grape leaves, she said, are utterly different, when used to stuff cinnamon-flavored rice mixed with lamb than the chewy, flavorless kind you get from a can. “The leaf is not offensive, because it is tender,” she explained. It seemed an awful lot like an African photo safari but instead of wildebeests there were wild mushrooms. Two dozen people moved quietly among the newly leafed out trees, lifting up hunks of fallen bark and other decaying matter to find treasures. The real gold isn’t the mushroom itself but the vast network of mycelium it grows out of, spreading vastly under the ground. 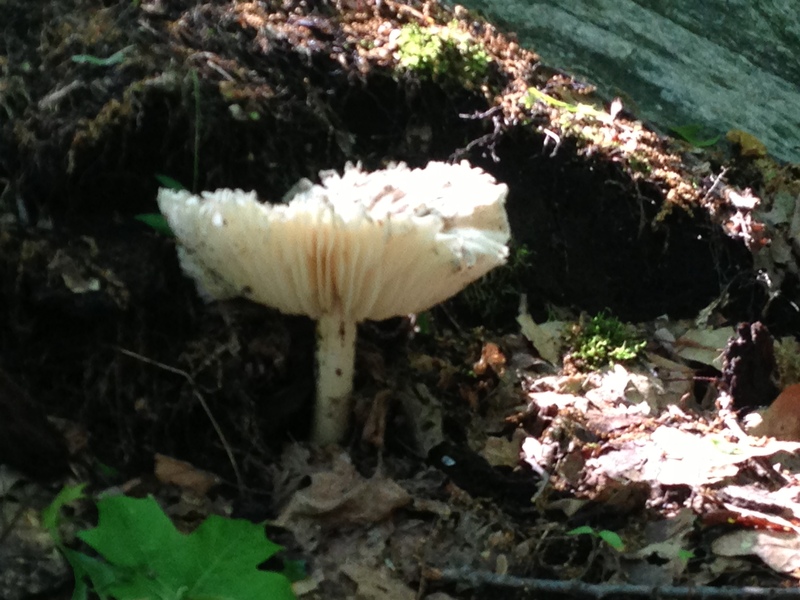 The mushroom is simply the fruiting body of the plant. 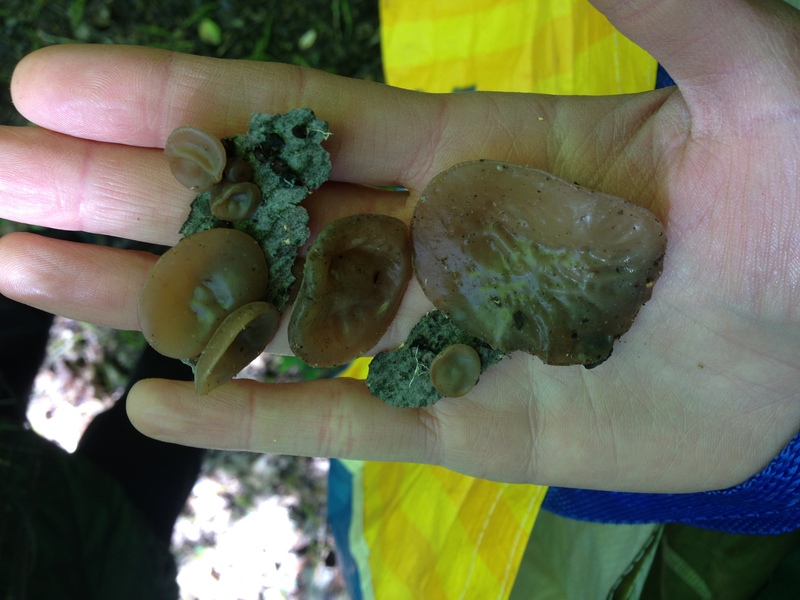 “Ninety percent of what you’re standing on is mushroom mycellium,” a well-informed mushroomer named Rena asserted. Manufacturers, she said, are starting to use the soft, threadlike stuff as packing material, rather than plastic. The most common specimen around these woods went by the simple acronym LBM: little brown mushroom. Just because it was little didn’t make it boring. 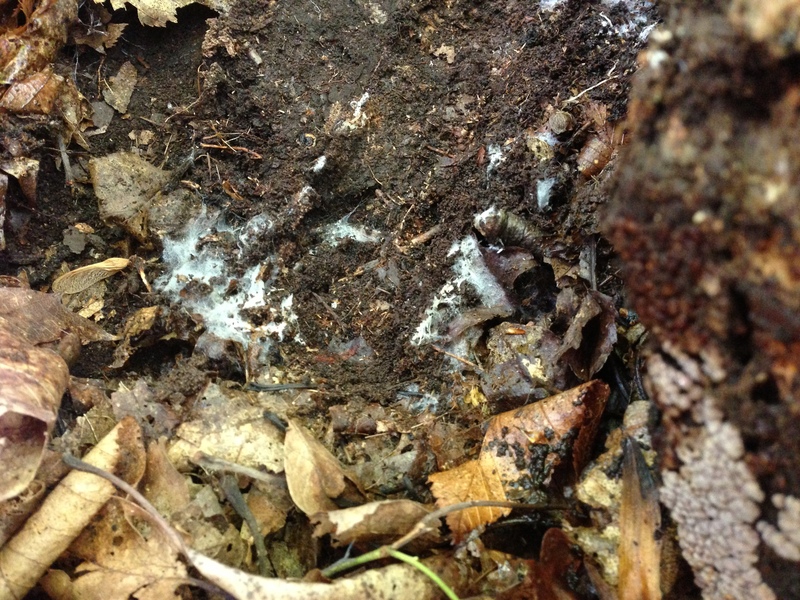 There was the crust fungus. 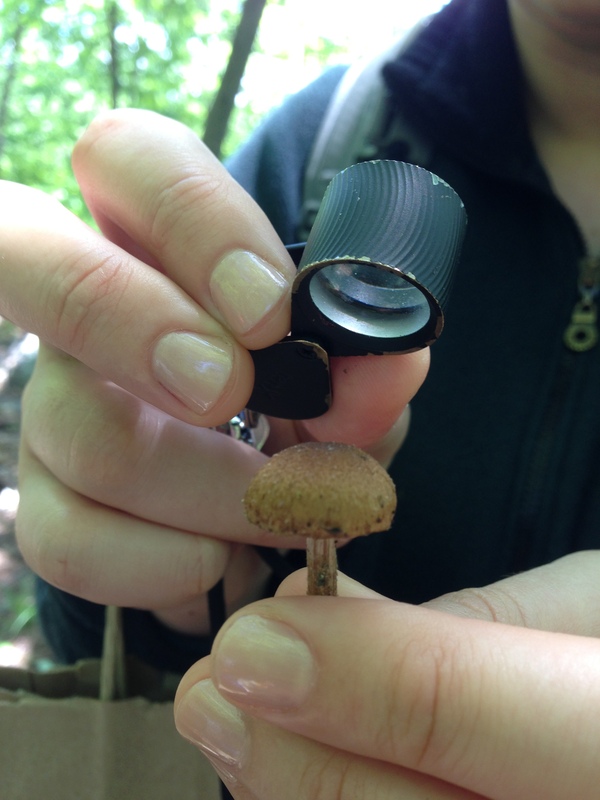 We saw mushrooms growing on top of other mushrooms – called fairy pins, like little black matchsticks, so small as to be invisible without a loup. A carniverous mushroom, devouring the back leg of a certain beetle and now exploding fruitily through it. All sorts of jellies. We made our way in slow motion. There was time to thrill to the trill of a tree frog. To hold a serious discussion about solomon’s seal. In the middle ages, noted one herb enthusiast, the wild plant was “the herb for women who happened to fall upon the fist of their husband.” In other words a poultice, a balm that fell short of a divorce but was better than nothing. A baltimore oriole. A water snake sunning itself on the lake shore. There was so much to learn. Rena: “Every log could be a year’s course of study.” I love that idea. 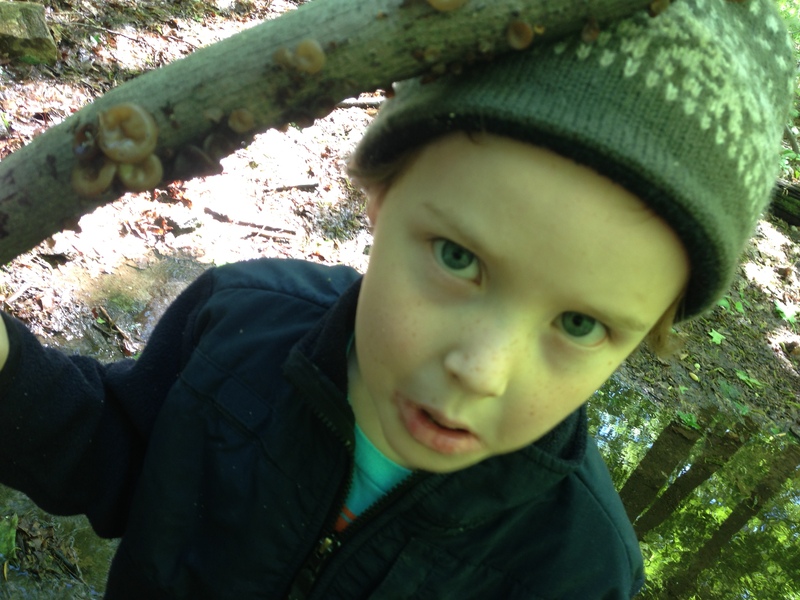 Zach knew all the proper Latin names for every mushroom. They went in one ear and floated out the other like a puff of mushroom spore. I’d call this one the upside-down-ballerina-fairy-with-her-head-in-the-dirt, if I didn’t learn today that it’s very problematic for people to originate their own names for mushrooms. 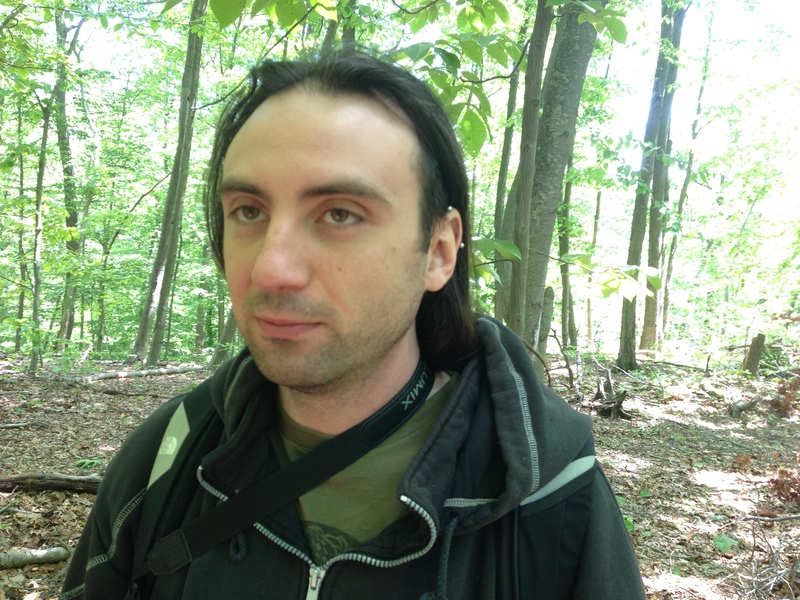 Boris from Bulgaria interested himself in botany as well as mycology. Plants, he told me, sense a danger from certain aphids, then send a signal to other plants via fungus underneath the ground to warn them about it. Everything is symbiotic, he said. He told me he likes to hike Breakneck Ridge, a practically verticle hiking trail that opens up high above the Hudson River. “Smell that!” said the expert in medieval balms. She scratched back the bark of a slender branch. The aroma of wintergreen bloomed under my nostrils. “Black birch.” I chewed it as a child, I said. Everyone nodded. So did we all. This was pretty serious business. 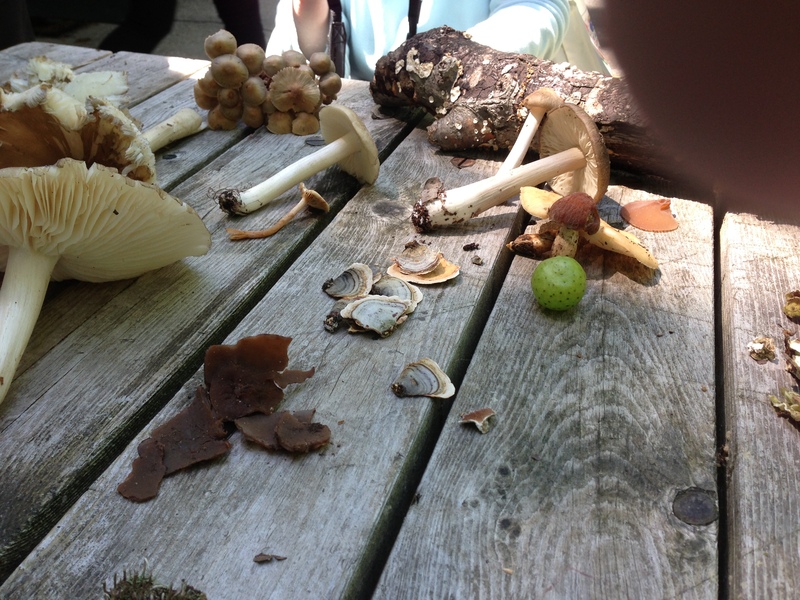 I thought we wouldn’t have collected more than ten specimens, but back at the picnic table people shared dozens. 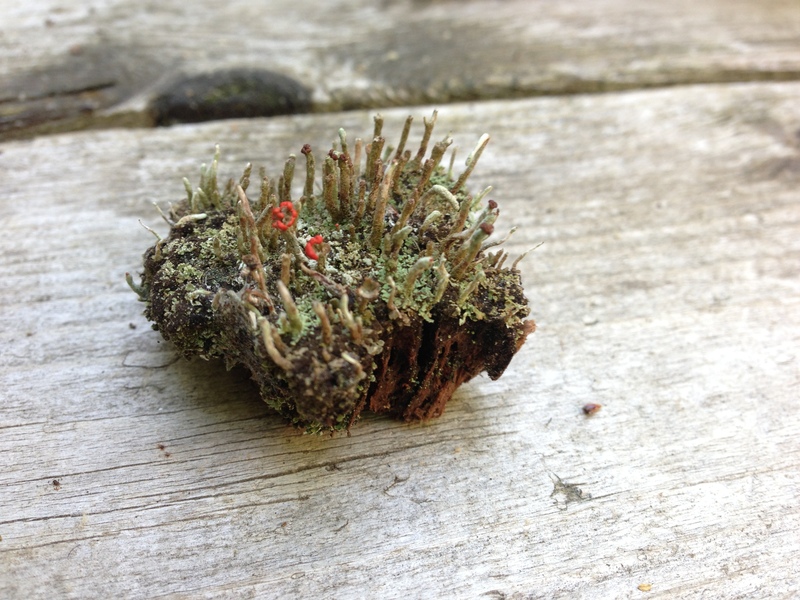 There was cladonia, called British soldiers. 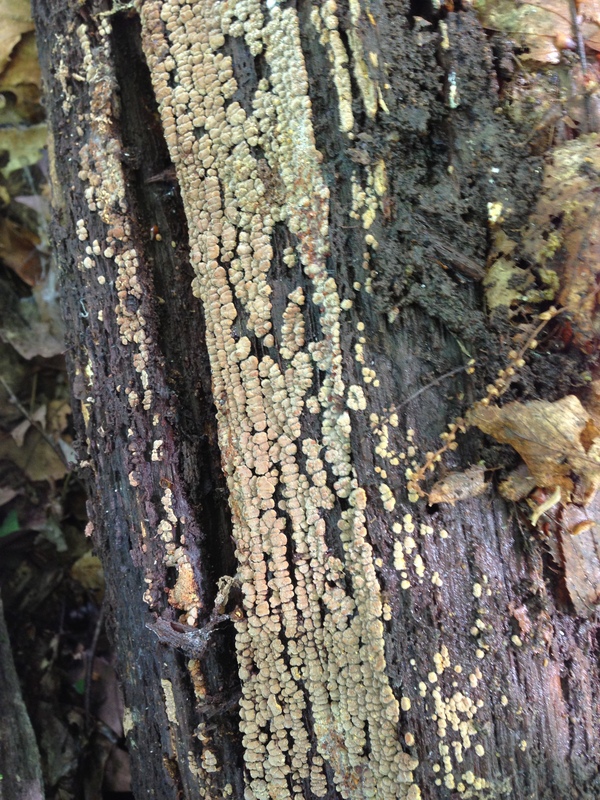 “That’s a no-no,” said Zach, referring to the beauteous lichen with bright red spores. You shouldn’t pick it, apparently, it takes too long too grow. There were plenty of others. 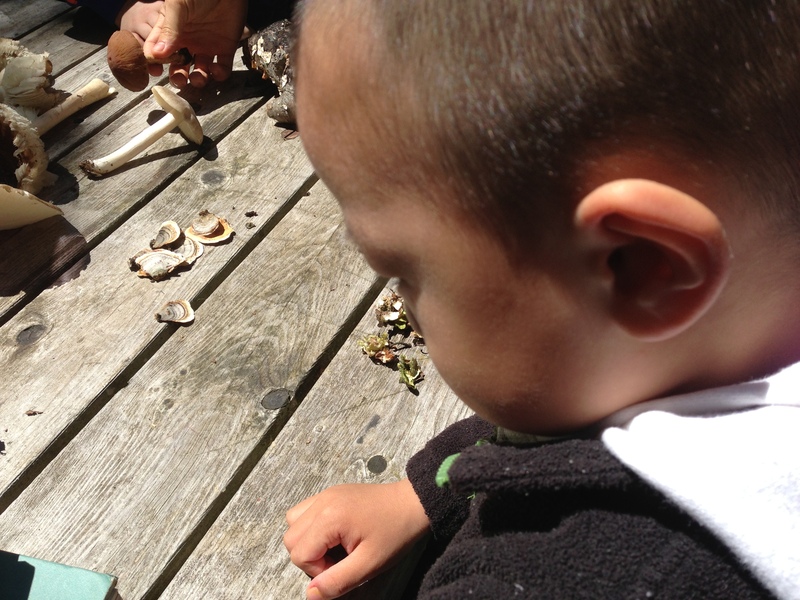 Some mushrooms looked like babies’ ears, and now babies’ ears resembled mushrooms. There was a small, complicated gorgon of growths. So many different textures and shapes. And finally, for the weary mushroom hunters, some snacks, including the edible variety: a dish of sesame pasta and chicken mushrooms, orange and chewy. And a plastic container of stuffed grape leaves, donated by Vrena. Not offensive, in the least, and tender. Thanks for your comment! 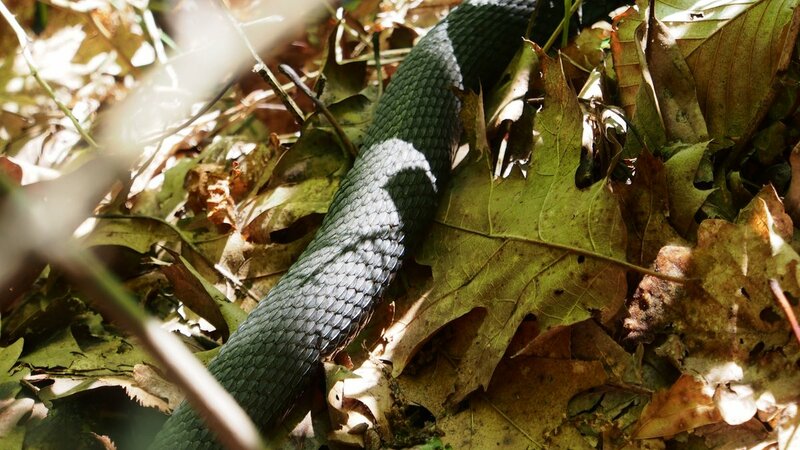 The snake was shy and quickly made its escape. Learning about mushrooms was worth it! You didn’t see them in the pictures? It’s amazing how much people know about a somewhat obscure subject, and that they communicate it to the less knowledgable so cheerfully. OMG I wish I have knowledge to do this…but I stop that thought when I saw the snake pic…fine…mushroom from farmer market should be ok.
wait … elves? You have elves?? Why didn’t you take a picture of the elves? And that, ladies and gentlemen, is the way it was. I will only add that if county executive Rob Astorino gets his way, our county nature centers, including the one at Cranberry Lake, will be shuttered, and Zaac Chaves and his colleagues will be laid off. We will have the welcome opportunity to lay off Astorino this November.